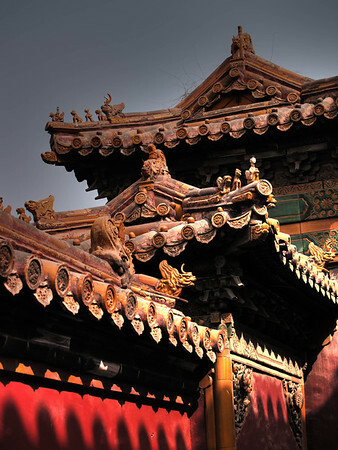 Almost anywhere you go in The Forbidden City, the buildings are covered in ornate designs. The challenge I found was in capturing something that made for an interesting composition. In addition, the sky was a rather unattractive metallic gray - my experience nearly every day in a city which has an unfortunately high degree of air pollution.